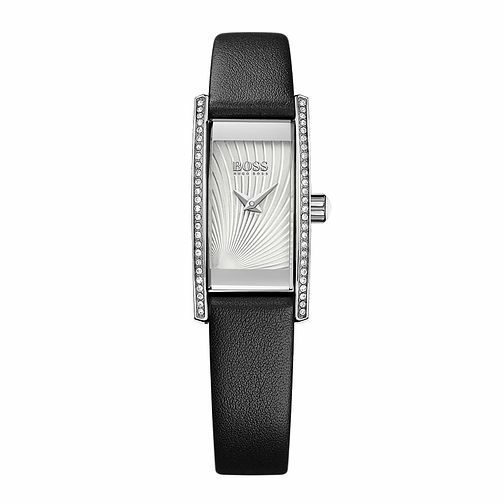 From the Hugo Boss timepiece collection, this sleek ladies' watch is crafted with a stainless steel case, stone set square bezel, softly complemented by a lustrous textured dial and black leather strap. For the modern woman in search of understated yet sophisticated chic, this is the perfect accessory. The BOSS watch collection combines unique and contemporary style with a professional edge.